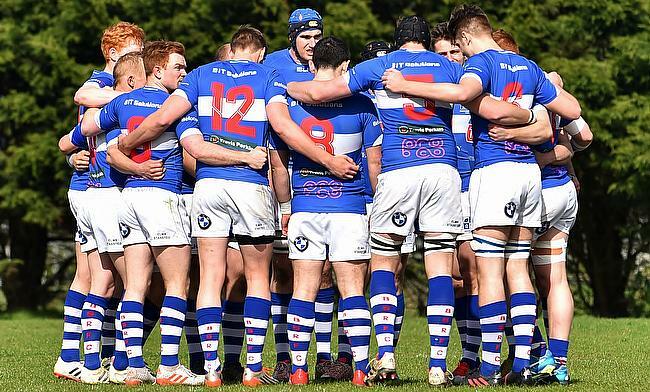 Bishop’s Stortford created club history last term. Andy Long’s side clinched the National Two South title and with that, came promotion to the third tier of English rugby for the first ever time. Stortford had been knocking on the door of National One for the past few years, but the Hertfordshire club finally took that next step and since then, they have certainly not looked back. Like with any newly promoted sides, there is always the stereotype which goes alongside them. ‘Will they be able to survive in this division?’ or ‘They’ll go straight back down.’ For Bishop’s Stortford, they have taken that connotation and ripped it up into tiny pieces. The men from Silver Lays have showcased their quality so far in National One and their sixth placed position in the table emphasises that point. Stortford head into December on a six game unbeaten run and in fact, this calendar year, they have lost just four times. Scrum-half Alex Patton has been part of Stortford’s recent success and he is no stranger to playing in teams which ooze class and quality. The former Saracens academy player has been, as he puts it, a ‘Stortford boy’ since he was five-years old and he is now enjoying life in National One. “We are more than chuffed about how we have got on this season, says Patton. “To beat teams like Birmingham Moseley and Blackheath and give sides like Coventry a run for their money highlight why we are pleased because they are really good results and performances. 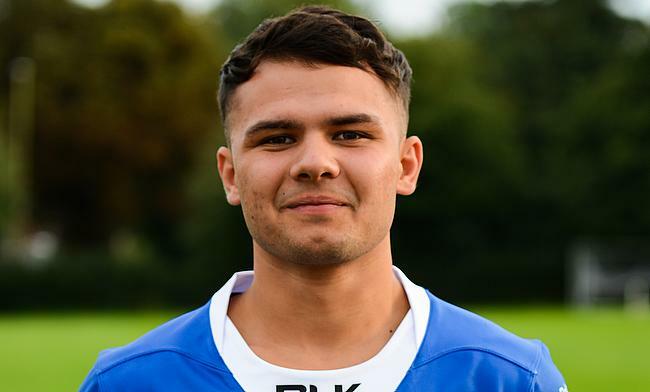 Patton made his first team debut in National One for Stortford this year, but he has made some big decisions in order to gain that opportunity. The scrum-half was on the books at Allianz Park from U14s level and he played at Saracens for five years before clinching the National Finals with the club in his final season. But from that ‘brilliant experience’ and the joy of winning silverware, Patton’s time at Saracens came to an end and he was at a crossroads. The former Whitgift student adds: “We won the U18 Aviva Premiership where we went unbeaten. I was playing with some of my best mates like Max Malins and Matt Gallagher and we were such a successful age group. “Unfortunately, I didn’t get offered a contract so I had to make a choice between fully perusing a professional rugby career or to go to University and get a degree. “I decided to go into studying, but I still wanted to play high level rugby. I have played a little bit of rugby at University in BUCS 1, but I just felt I wanted to play at a higher standard. But even Patton would admit, he didn’t expect to make such an instant impact in his debut season at National One level. An injury to first choice scrum-half Tom Banks presented Patton with his chance to shine and individual performances against Birmingham Moseley, where he scored a late try, and against Blackheath have certainly helped his cause in pushing for a starting place in Andy Long’s plans. For now, Patton is content with competing for the number nine jersey and helping Stortford continue their excellent beginning to life in National One, but he has ambitions to become a regular at Silver Leys in the near future. “I have definitely had good games and bad games this year, he adds. “I didn’t start last week against Darlington because Tom (Banks) was back and hats off to him, he is better than me! “I do have a full 80 coming up against Fylde this Saturday and it is up to me to prove my point again. My goal over the next couple of years is to really push for that starting spot because I feel like I have played well so far this season. “In terms of the club, we have always been quite ambitious. We have never spoken about getting relegated this year. Our mindset has always been positive and we have said all season we are determined to compete. We are not here to get pushed around. “We face Fylde this weekend and come into the game on the back of a draw with Darlington so a win to begin the month would be great! We do perform away from home well and I think Fylde are a team that people take for granted.